Proposals are before Highland Council for improved access to the toilets and shop, a storm lobby to ease access in high winds, the café and bar to be increased, space for a new audio visual experience and a wraparound terrace. But with the funicular railway already out of action for safety reasons, The Ptarmigan is closed just now and looks set to remain out of action for a further month at least. Until there’s significant snowfall, no-one can make use of the tow lifts up the mountain. 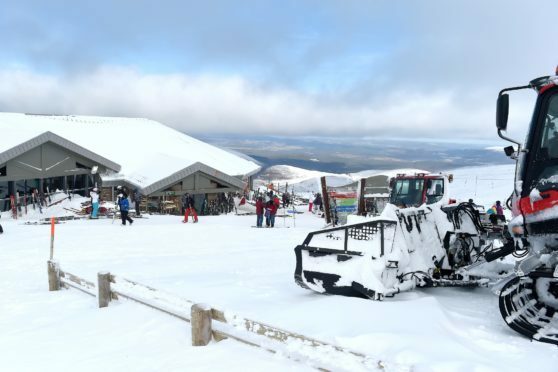 The Ptarmigan is reliant on the funicular, says Alan Brattey of Aviemore Business Association, and it’s already lost three months of business this year. He said: “Proposals for the dry ski slopes and The Ptarmigan extension will cost £4million in a loan from HIE. “Before any more public money is spent on Cairngorm Mountain, the uplift infrastructure to The Ptarmigan should be sorted out. “It needs to be accessible without snow, and without having to rely on the funicular- it needs a chairlift. HIE says investigations into the funicular are underway and likely to take several weeks, with an initial report expected in November.